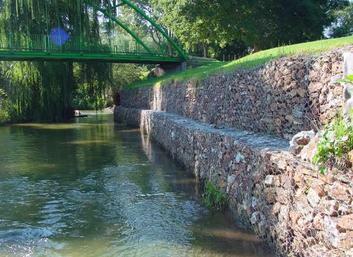 Gabions offer excellent protection as soil stabilizers around bridges, bridge piers and abutment slopes. 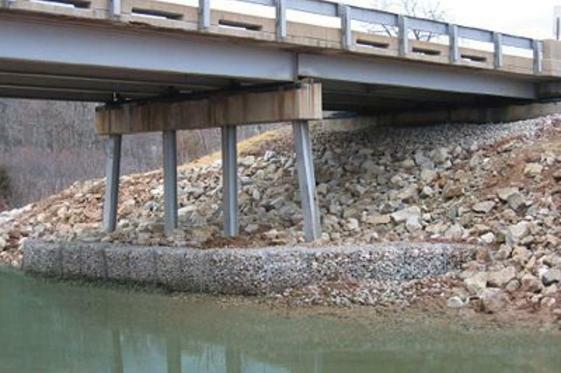 Generally, the degree of the slope to be protected shall determine what structure type is best suited for a specific application. 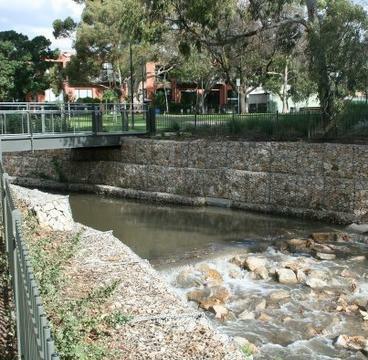 Slopes with an angle of 1:1 or steeper usually require standard gabion retaining wall protection. 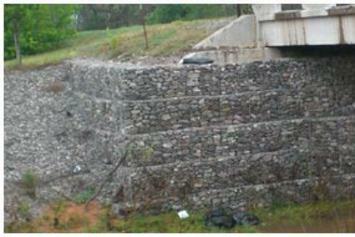 Slopes with an angle of 1:1.5 or less may use a combination of gabion baskets and/or mattresses for slope protection.